To be refused is no calamity"
The airspace above the garden is usually taken by large airliners flying to and from the Caribbean and South American destinations. 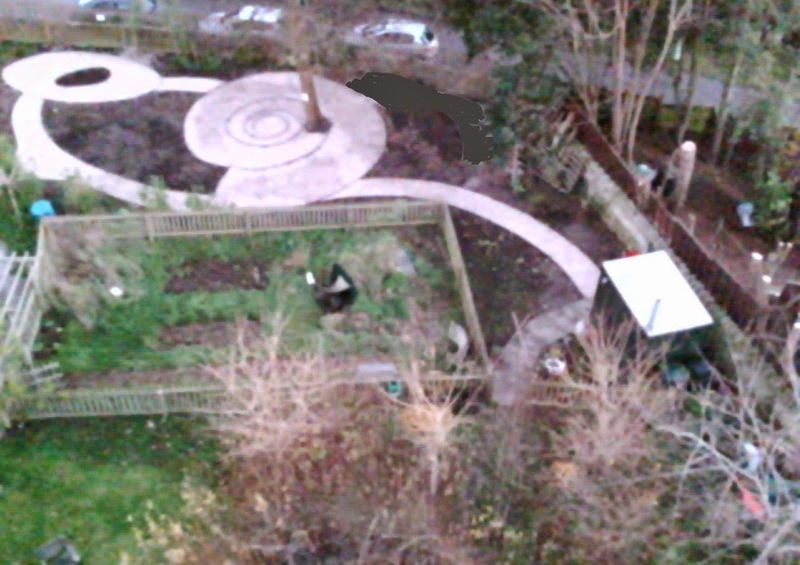 However this strange craft was observed recently hovering over the Jurassic Garden. It stayed briefly and then disappeared. 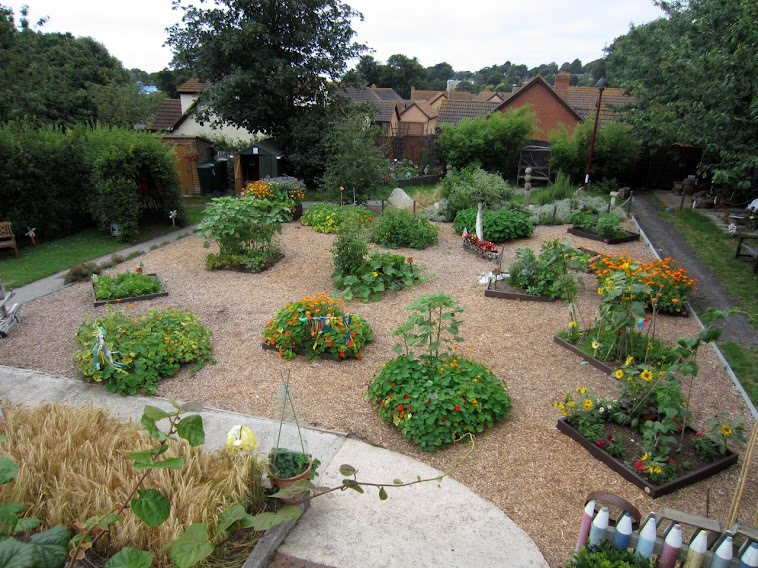 Later the owner provided us with some aerial photographs of our latest project taken by the drone. 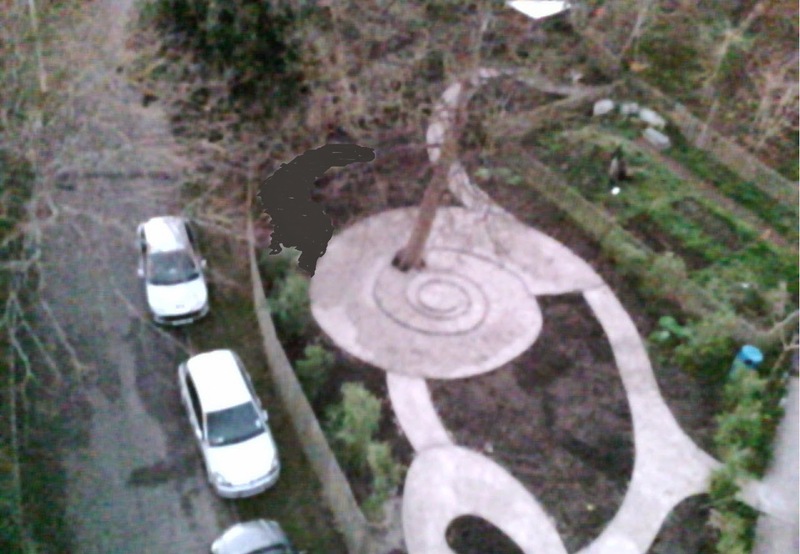 The pictures show clearly the ammonite shape and provided us with a quite different view of the garden. Some winter flowering pansies have been planted to brighten up the garden but there is till a lot of colour remaining. 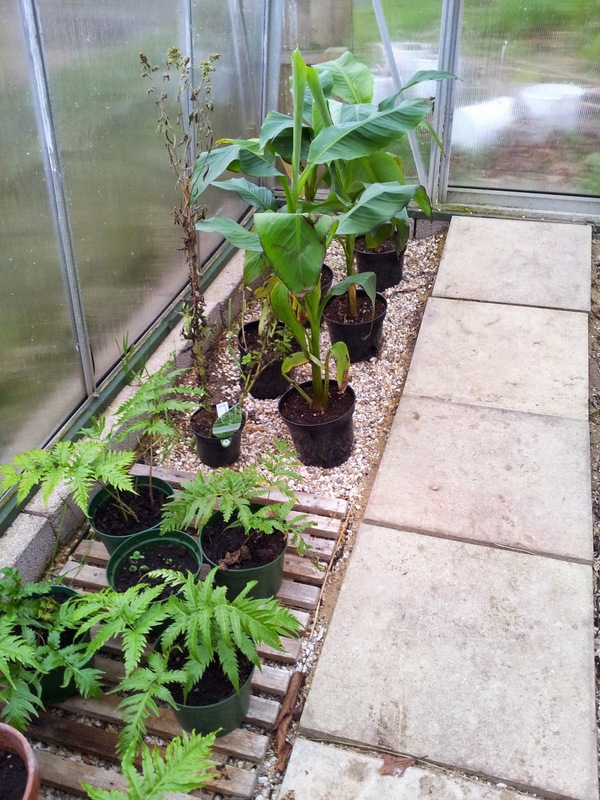 Alongside the greenhouse the ground has been prepared and a new area designated for the cold frame kindly donated by the Dorset Gardens Trust. The cold frame will be assembled and positioned in the New Year. The sheltered area by the green house was deemed the best location for this. 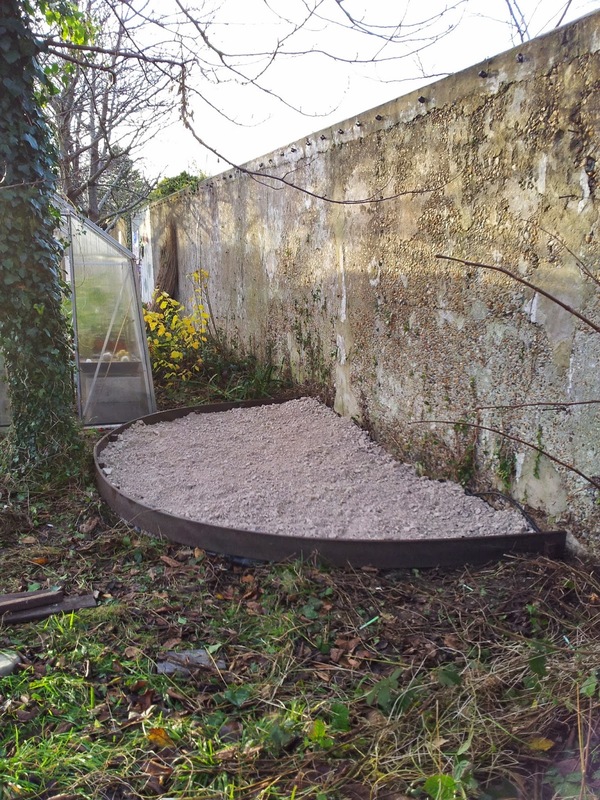 Once the membrane had been laid to stop the weeds from coming through some spare limestone chippings were put inside and the cold frame base made good. 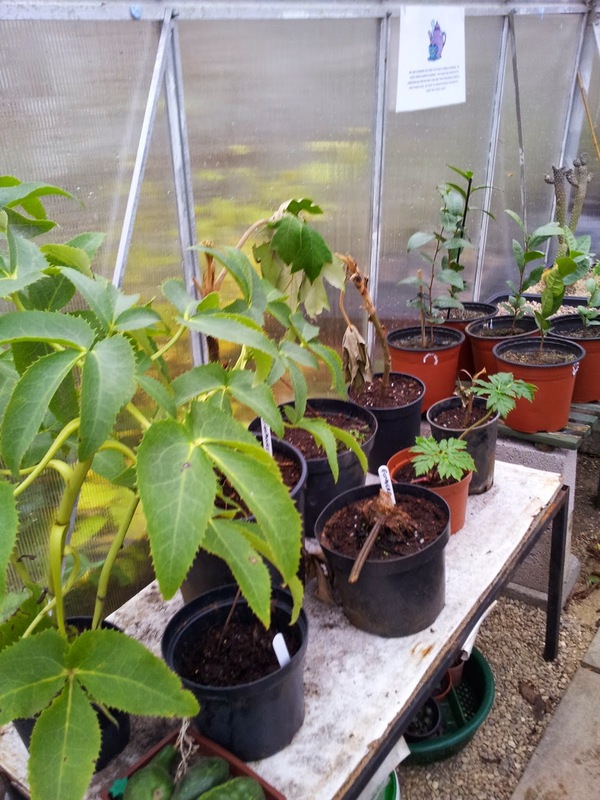 The cold frame will be a useful asset to the garden enabling young plants to be hardened off once taken out of the greenhouse. 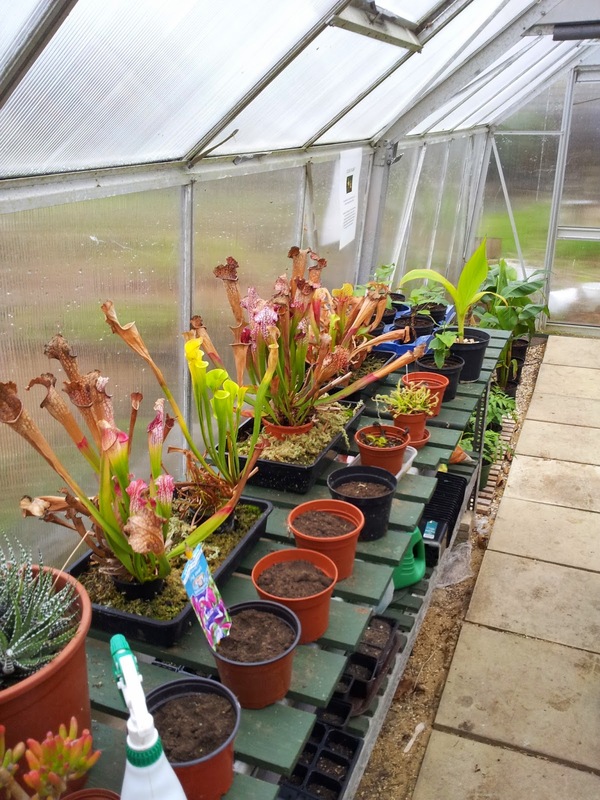 The insectivorous plants are shutting down for the winter period. Sweet pea seeds have been planted and will remain in the greenhouse for the time being. 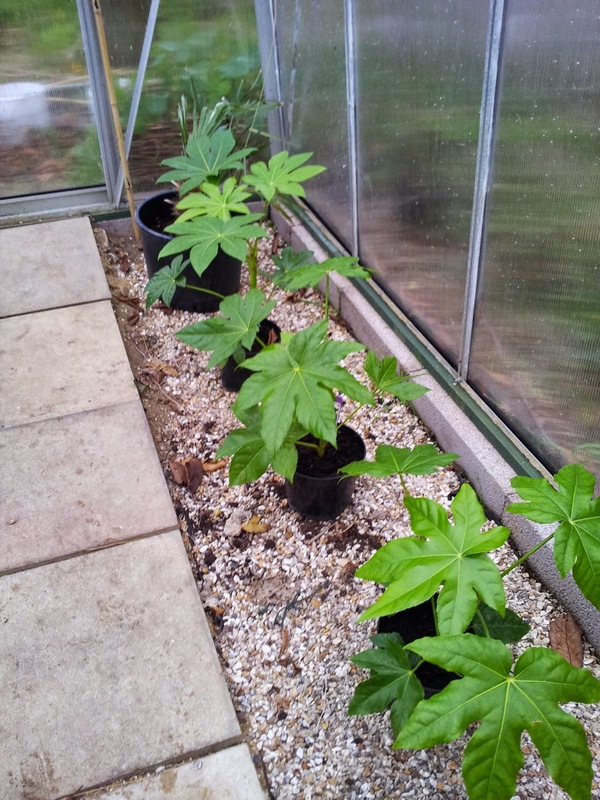 They should start growing soon and will be stopped to keep then tight and bushy ready for planting out in the Spring. Finally insects are still on the wing even this late into December. Buff-tailed bumble bees are still regularly observed and both Red Admiral and Peacock butterflies have been seen recently. An ichneumon wasp was seen apparently drinking from rain spots on a car! These insects are a tricky group to sort out and a microscope is needed to key out the species concerned. The school breaks up on friday for the Christmas holidays. 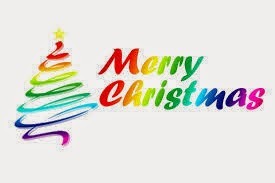 We take this opportunity to wish everyone a very Merry Christmas and a Happy New Year.